This week's JFL fixtures are spread over three days and a couple of important top-of-the-table games were played on Friday - and there are new league leaders as a consequence. It's Rosso Kumamoto who have knocked Sagawa Kyubin SC off their perch, Yutaka Takahashi netting twice as the Kyushu side strolled to a 3-0 half-time lead at Ryutsu Keizai University, later to run out 4-1 winners. Rivals FC Gifu, however, failed to follow suit as they lost 1-0 at home to Honda FC and so provided YKK AP with an opportunity to close the gap in the front three. Konica Minolta Toyokawa may have dropped a couple of points on Sunday, but they are still running away with Division 2 of the Tokai League this season. A 1-1 draw at Mind House Yokkaichi combined with a 1-0 defeat for nearest rivals Nagoya Club has Konica seven points clear at the top of the standings. But MIE Rampole dropped into the relegation zone for the first time this year after they lost at home to Toyota Football Group in disappointing fashion, while Morishin's FC picked up a second consecutive win by beating FC Kawasaki. It's all gone wrong in the last couple of rounds of Yazaki Valente in their attempts to challenge Shizuoka FC at the top of the Tokai League Division 1. Last week they dropped points in a shock draw and on Saturday they were beaten 3-0 by the very side they are aiming to overhaul. The middle of the table is till tight, however, with Fujieda City Hall moving third after a 4-3 defeat of Chukyo University, while Honda Suzuka managed a useful win at Kasugai Club. 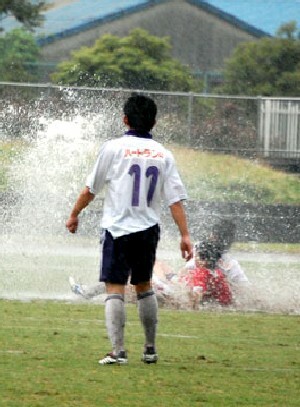 In the other match of the round, Maruyasu Industries scored a 1-0 win at Sagawa Kyubin Chukyo. 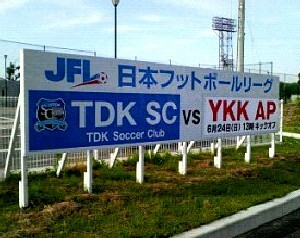 The two favourites were in action in Division 2 (South) of the Tohoku League on Sunday, both notching up convincing wins in their quest to gain promotion and so move a step closer to their ambitions of reaching the JFL and beyond. Leading the way at present are FC Perada Fukushima, who handed out a 12-0 thrashing to poor Kureha; but neighbours and rivals Viancone Fukushima are not far behind after their 5-1 defeat of Marysol Matsushima. An exciting race is developing at the top of the Tohoku League Division 2 (North) this season, 2006 winners FC Akita Cambiare just a point ahead of Tono Club after Sunday's games in which Cambiare pulled off a 2-0 win at Mizusawa Club and Tono beat struggling Omiya Club 2-1. 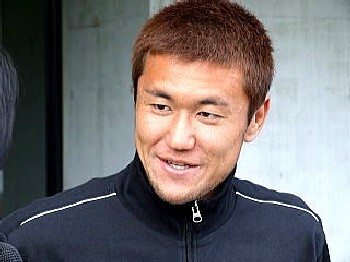 At the other end of the table, Vanraure Hachinohe achieved their first victory of the year at the expense of Hokuto Bank. Title favourites Grulla Morioka pulled off the key victory of the year so far in Division 1 of the Tohoku League on Sunday, defeating their nearest challengers NEC Tokin 3-2 to open up a six-point gap at the top of the table. But given that there will definitely be two teams from the region in the end-of-season promotion Play-offs for a place in the JFL, NEC are still in a strong position. 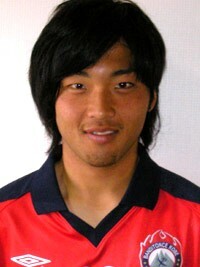 Furukawa Battery were crushed 5-2 at FC Primeiro, allowing Wiese Shiogama to move third after a 2-0 win over Morioka Zebra. Things are inevitably still neck-and-neck in the Shikoku League in what is turning out to be a remarkable season for non-league football on Japan's fourth island. 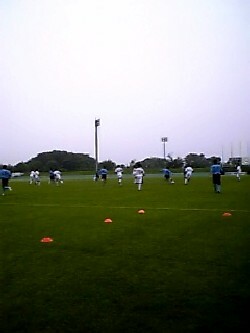 Tokushima Vortis Amateur continued to storm through their games in sensational style, Ehime Shimanami being their latest victims - but 2006 champions Kamatamare Sanuki are just a whisker behind on goal difference after a 4-0 win at Tokushima Comprille SC. Comprille are likely to have to play in the relegation Play-offs alongside Sanwa Club, 3-1 losers at Nangoku Kochi, although Shimanami and Ventana AC could still be dragged into trouble after the latter's defeat by Sanyo Electric Tokushima. 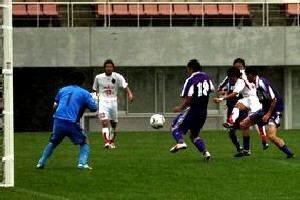 With four rounds to go in Division 2 of the Kanto League, MSDF Atsugi Marcus have given themselves an excellent chance of regaining their top flight position at the first time of asking - while Club Dragons look as if they might seal a second consecutive promotion, to play fourth-flight football next year for what would be the first time in their history. The sailors from Atsugi are undefeated since the opening day of the season and on Sunday beat Kanagawa Teachers to stay on top, while Dragons strolled past relegation candidates Nirasaki Astros. Furukawa Electrics Chiba are best placed to put in a late challenge, but they were not helped by a disappointing 3-2 defeat at Yonoshukonkai. Hanno Bruder moved fourth after they beat Ome FC. 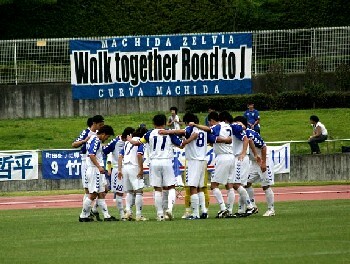 It may have taken ten matches of the season but FC Machida Zelvia have finally dropped a couple of points in Division 1 of the Kanto League. After nine consecutive wins, they could only manage a goalless draw at mid-table Saitama SC - but still remain on course for the league title in what is the Tokyo club's first year at this level following from promotion from Division 2. Now lying second, ten points behind the frontrunners, are Hitachi Tochigi Uva, 3-2 winners over bottom side and neighbours Yaita SC. 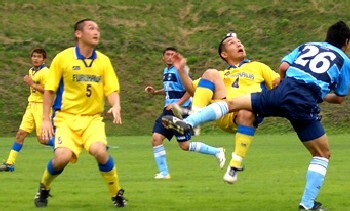 Luminozo Sayama dropped down to third following a draw at Toshiba Fuchu, while Toho Titanium were surprisingly held at home by YSCC. In Division 2 of the Kansai League, Hannan University and Takada FC look almost certain to gain promotion come the end of the year, although both dropped points in unexpected circumstances in the weekend's fixtures. 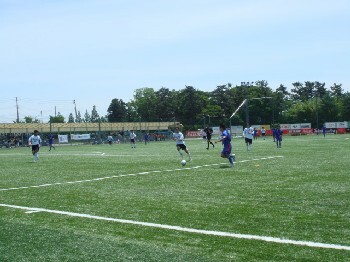 Champions-elect Hannan were held 1-1 at home to Kohga School, while Takada could manage only a goalless draw at struggling Mitsubishi Heavy Industries Kobe. Indeed, that result combined with Hermano Osaka's 2-0 defeat at Riseisha FC has given Mitsubishi a better chance of avoiding the relegation Play-off that goes with a seventh-place finish. Kihoku Football Group, however, are nearly guaranteed to be playing Prefectural League football this year after their 8-2 thrashing at home to Kyoto Shiko Club left them ten points adrift with only four games to go. With a 4-1 win over third-placed Ain Food on Saturday, Banditonce Kobe virtually ensured that their final fixture of the season at FC Mi-o Biwako Kusatsu will act as the Kansai League Division 1 title decider. Banditonce themselves remain two points clear at the top, but the loss for Ain Food combined with a 4-0 triumph for FC Mi-o at AS Laranja Kyoto means that there is surely too much ground for Osaka's Ain to make up in four remaining matches. Equally, at the other end of the table FC Glaspo Kashiwara are surely doomed to relegation following a 5-0 pasting at FC Kyoto 1993. But the identity of the other team who will have to play Division 2 football next season is unclear, after Kobe FC 1970 pulled off a vital 1-0 win over rivals Sanyo Electric Sumoto to give themselves a lifeline. FC Antelope Shiojiri are the only team in Division 2 of the Hokushinetsu League to have defeated frontrunner Saurcos Fukui this season - and their 2-1 win on Sunday means that they've done it twice, following on from a 1-0 victory in round two in the middle of April. This enables Antelope to remain in touch with the two automatic promotion places, although Granscena Niigata still seems the most likely side to challenge Saurcos for the title. Granscena managed their sixth consecutive win to beat likely relegation candidates Toyama Shinjo Club and now lie just a point behind Saurcos with three games to go (the two play each other next weekend). In danger of joining Shinjo in the Prefectural leagues next year are Maruoka Phoenix, losers at CUPS Niigata, while Teihens FC's slump continued as they went down 6-0 at Ohara School JaSRA. 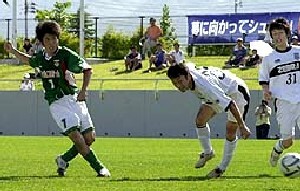 Fervorosa may be out of the hunt for the Hokushinetsu League Division 1 title, but they can still cause a considerable amount of difficulty for the teams still hoping to take on the crown from 2006 winners Japan Soccer College. For the Ishikawa prefecture side pulled off a remarkable 4-1 over Matsumoto Yamaga Club, which ultimately caused Yamaga to drop out of the top two in the standings - thereby raising huge doubts over whether or not they can hope to gain a place in the promotion Play-offs at the end of the year. Moving into second above their neighbours from Matsumoto are AC Nagano Parceiro, who beat Niigata University of Management, while Zweigen Kanazawa still cannot be discounted after thrashing relegation favourites Ueda Gentian 9-0. But holding on to top spot and hoping that they can retain their title are Japan Soccer College, for whom their 8-0 drubbing of Valiente Toyama was their sixth consecutive win. 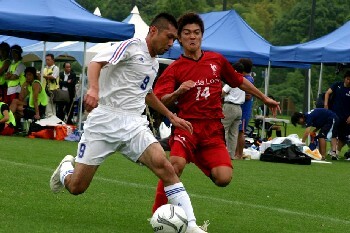 Just two games were staged in the Chugoku League this weekend, with a day off for leaders Fagiano Okayama. But FC Central Chugoku took the opportunity to close the gap between themselves and Fagiano to a trifling twelve points as they squeezed past Mazda SC by the odd goal in five. Sagawa Kyubin Chugoku were hot favourites to maintain their own push for second place, but sensationally fell to a 2-1 defeat at Yamaguchi prefecture's lowly Hitachi Manufacturing Kasado. A last-minute equaliser from Kentaro Yoshida saved Tochigi SC from defeat at struggling Sagawa Printing in one of the two JFL fixtures to be staged on Saturday. It's now seven games without a win for Tochigi, whose hopes of a top-four finish and a place in J2 would seem to be receding, despite the recent appointment as coach of Koichi Hashiratani. Meanwhile an Atsushi Katagiri hat-trick helped FC Gifu to a 4-2 win over Gainare Tottori, giving his team their first win in four matches and cementing their place among the division's frontrunners. Kanai Club took a break from picking up their usual hammerings in Division 2 (South) of the Tohoku League in the only fixture on Sunday, moving two places up the table as a result of their 5-4 defeat of Shichigahama SC. Konica Minolta Toyokawa may be charging towards the Tokai League Division 2 title - they're six points ahead of the pack after having beaten Fuyo Club on Sunday - but the other promotion place is very much up for grabs. Nagoya Club are just holding on, but they lost 2-1 at home to Mind House Yokkaichi and a battle would seem to be set up nicely between those two for the rest of the season. New team MIE Rampole must be disappointed at how their first season of Regional League football is turning out, all the more so following their defeat at relegation candidates Morishin's FC. 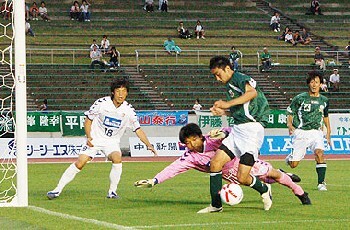 But it's FC Kawasaki who drop down to the football of the table, in spite of their 1-1 draw with Toyota Football Group. 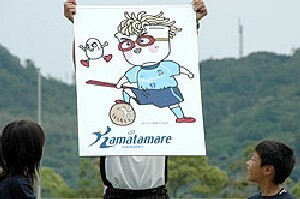 After three of last week's matches were postponed due to thunderstorms in the neighbourhood, there is now clear daylight between favourites Shizuoka FC and their nearest challengers Yazaki Valente in the Tokai League Division 1. While Shizuoka were beating Sagawa Kyubin Chukyo, neighbours Yazaki could only draw at struggling Maruyasu Industries, meaning that they fall two points behind as a result. Somewhat distant in third place are Fujieda City Hall, despite the disappointment for them of a draw at home to bottom side Kasugai Club; Honda Suzuka move up to fourth after their win over Chukyo University. There was only one game in Division 1 of the Tohoku League over the weekend, pre-season favourites Grulla Morioka taking the opportunity to go three points clear of NEC Tokin with a 7-1 drubbing of neighbours Morioka Zebra. There were convincing wins for both Tokushima Vortis Amateur and Kamatamare Sanuki at the top of the Shikoku League on Sunday, as the championship race continues to be a particularly close one. Vortis put six past their neighbours Sanyo Electric Tokushima and Kamatamare went one better against Kochi's Sanwa Club to close the gap - very slightly - on the shock leaders. Nangoku Kochi are still third after they beat Tokushima Comprille SC, while local rivals Ehime Shimanami and Ventana AC both sneaked ahead of Sanyo thanks to the point accrued from their 1-1 draw. The second half of the Kyushu League season kicked off with another weekend double-header of fixtures in Kagoshima - the most significant outcome being that it looks like the remainder of the campaign will be a thrilling three-horse race for the title. Top of the pile at present are New Wave Kitakyushu, who seem to have solved their early season goalscoring worries and knocked in a total of eleven without reply in games against Nanakuma Tombies and Mitsubishi Heavy Industries Nagasaki. The ex-JFLers of Honda Lock are second but crucially have a game in hand, having only played on Sunday - a 5-0 defeat of Kumamoto Teachers - while in third are pre-season favourites V Varen Nagasaki. The highlight of their weekend was a 10-0 crushing of Okinawans Kaiho Bank SC that featured a hat-trick from former Rosso Kumamoto forward Keisuke Shuto. Nippon Steel Oita and locals Volca Kagoshima both managed a pair of wins apiece but are almost certainly too far off the pace to play a part in the fight for the championship, while Okinawa Kariyushi remain in mid-table after a disappointing defeat to Osumi NIFS United on Saturday. Mitsubishi Nagasaki continue to slip down the table although they have enough points in the bag to stay clear of the real strugglers - Nanakuma, Kaiho Bank and Kumamoto Teachers. The top-of-the-table game in Division 2 of the Kanto League ended in a draw between Club Dragons and MSDF Atsugi Marcus, leaving the way for Furukawa Electrics Chiba to close the gap on the front pair courtesy of their 3-2 win over Ome FC. Jumping up into fourth place are Kanagawa Teachers, who scored five for the second match running to beat bottom team Nirasaki Astros. 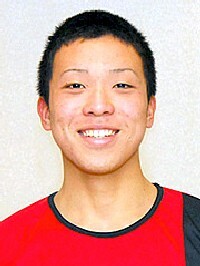 Hanno Bruder also ran in the same number without reply against Yonoshukonkai, who have now lost three in a row. All four fixtures in the Kanto League Division 1 finished 1-0 on Sunday, as the league table continues to separate out into three distinct groups of teams. 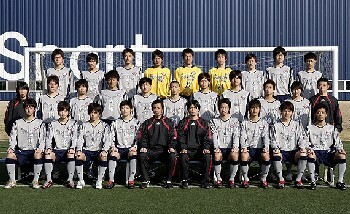 At the bottom, Toshiba Fuchu boosted their chances of avoiding relegation by beating Yaita SC to jump up two places. 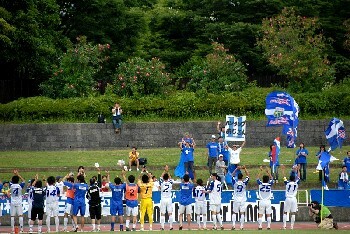 While Yaita slip to last, the other spot in the drop zone is now occupied by 2006 champions YSCC, who lost at home to runaway leaders FC Machida Zelvia. Sandwiched in the middle are Luminozo Sayama, who went second after beating Hitachi Tochigi Uva; and Toho Titanium, victors over Saitama SC. 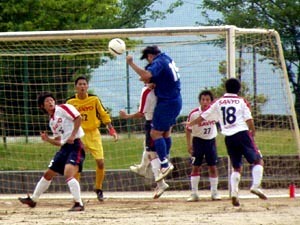 Saurcos Fukui continue to lead the promotion charge in Division 2 of the Hokushinetsu League. The ambitious former FC Kanazu made it eight games undefeated by beating Ohara School JaSRA on Sunday, while moving clear into second place behind them are Granscena Niigata. In what was undoubtedly a key match, they beat challengers FC Antelope Shiojiri 4-1 to put daylight between themselves and the chasing pack. Lower down the table, CUPS Niigata gained their first win in six by beating a Teihens FC side who are currently struggling to find their form, and Maruoka Phoenix did their chances of avoiding relegation the world of good with a 7-0 thrashing of wooden spooners Toyama Shinjo Club.